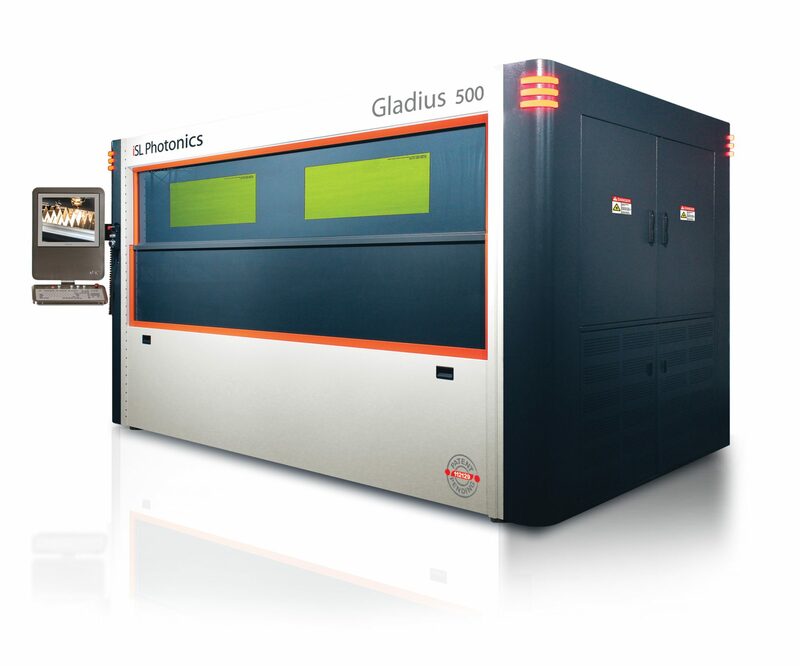 The series GLADIUS is a high speed 2D laser cutting machine of maximum worksheet size 1050*2050mm. The compact body of the machine is smartly designed to embody all necessary systems. The dust and the metal parts that remain after cutting go straight into dust particle collectors placed under the cutting table. 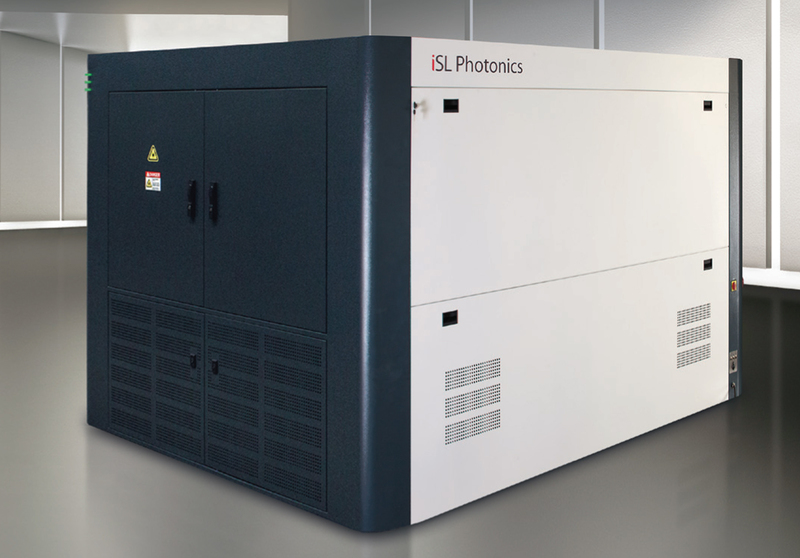 The laser system is intended for small and medium sized manufacturing enterprises. Mitsubishi CNC M720VW Series is a state-of-the-art model that provides high-speed and high-accuracy machining and advanced control technologies. Mitsubishi Electric Factory Automation technologies are condensed into a 64 bit RISC processor and an exclusively developed high speed LSI. 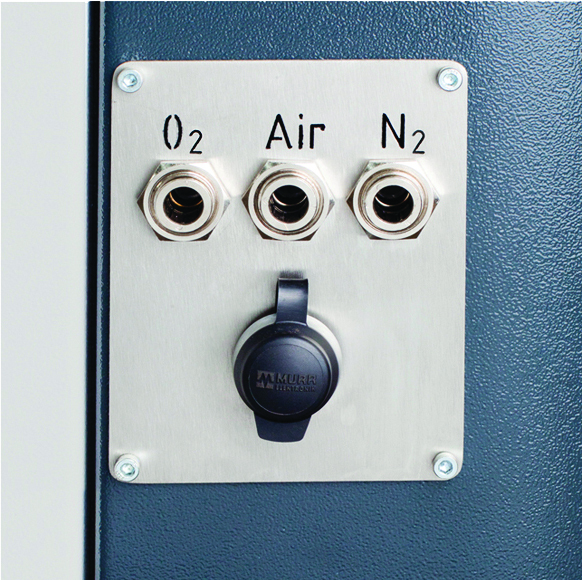 The basic CNC functions, built-in PLC and graphic performance are all improved. 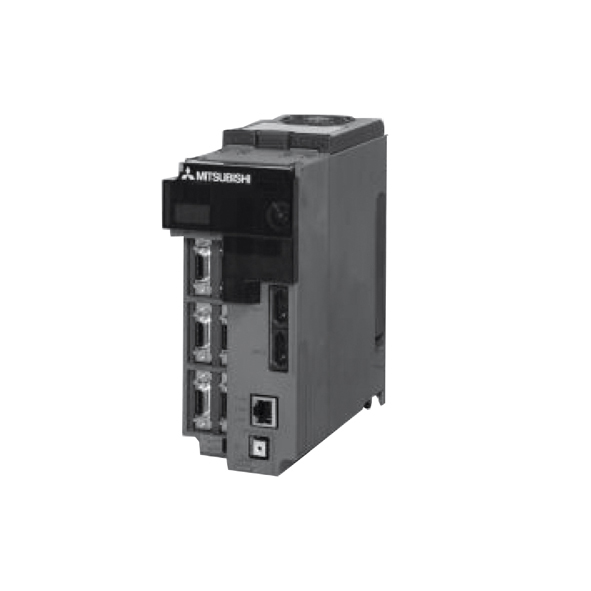 Ultra-compact drive units with built-in power supplies contribute to reducing control panel size. 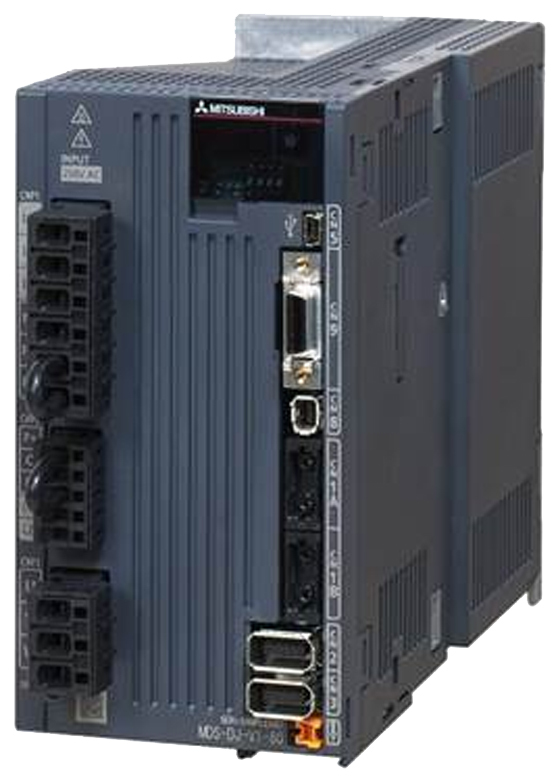 The connection between the drive unit and CNC is fast and reliable optical communication. 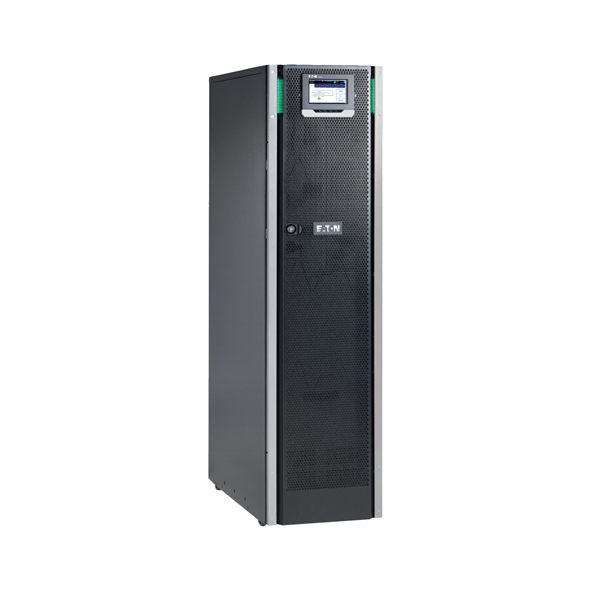 A high-efficiency fin and low-loss power module have enabled unit downsizing, which also leads to a reduction in control panel size. The precise AC servo motors Mitsubishi Electric put up in motion X, Y and Z axis of the machine by helical hardened rack&pinion product of Gambini meccanica, with quality class Q7 that ensures the extreme acceleration up to 10 m/s and velocity of 80m/min. The motion is carried out by linear bearings with ball rail system a product of Bosch Rextroth. The motion between servo motor and pinion is delivered by high-precision transmission servo gearbox almost zero backlash. High-inertia machine accuracy is ensured. Suitable for machines requiring quick acceleration. Supports two types of detectors with a resolution of 260,000, 1 million p/rev. 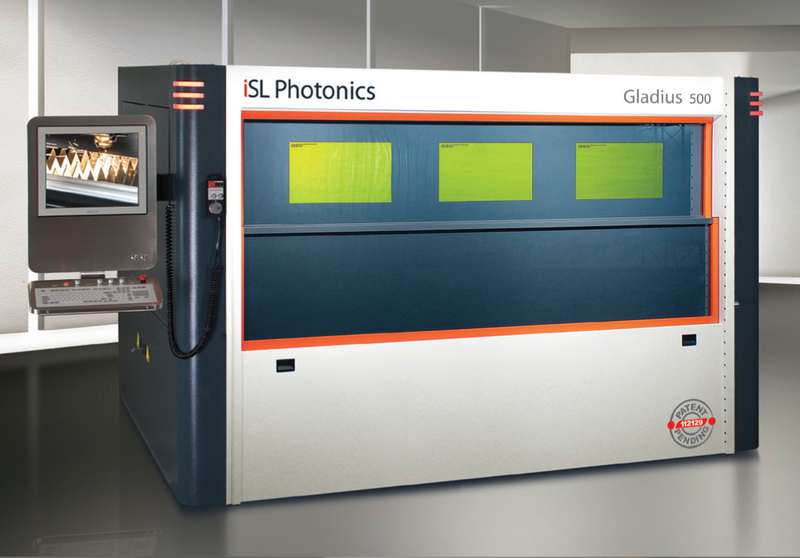 The machines from series GLADIUS and OPTIMUS have been completed with fiber optic laser sources produced by IPG Photonics, series YLR (rack mount laser module) with power capacity of 300W, 500 or 1000W. 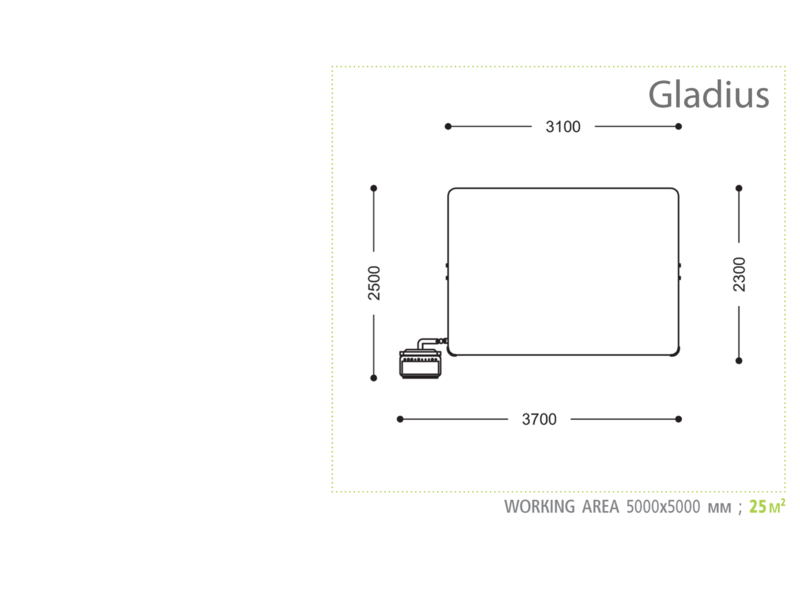 The dust and particle collection system comprises of 3 sections for Gladius, and 4 for Optimus, as well as drawers that are located just under the working table. 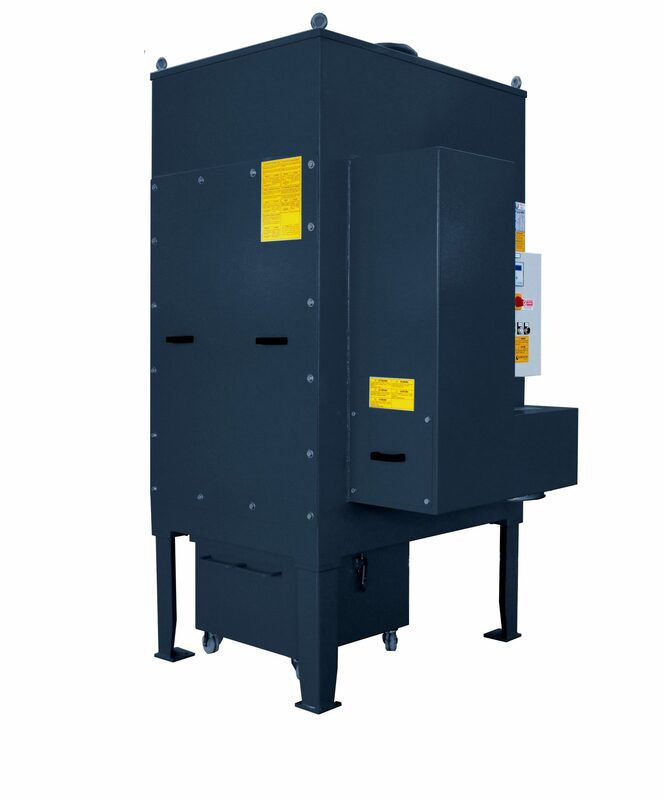 The smoke and gas filtration system itself is represented by a closed cassette type filtration system that comprises of 2 rows x 4 different in type and functionality filters. 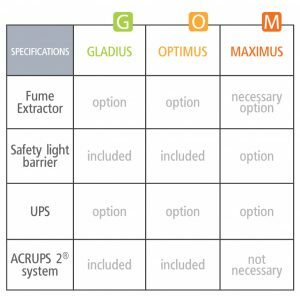 This is the filtration for the compact models GLADIUS and OPTIMUS. ProCutter head offers a complete solution for the fiber laser cutting of thin and medium material thicknesses. 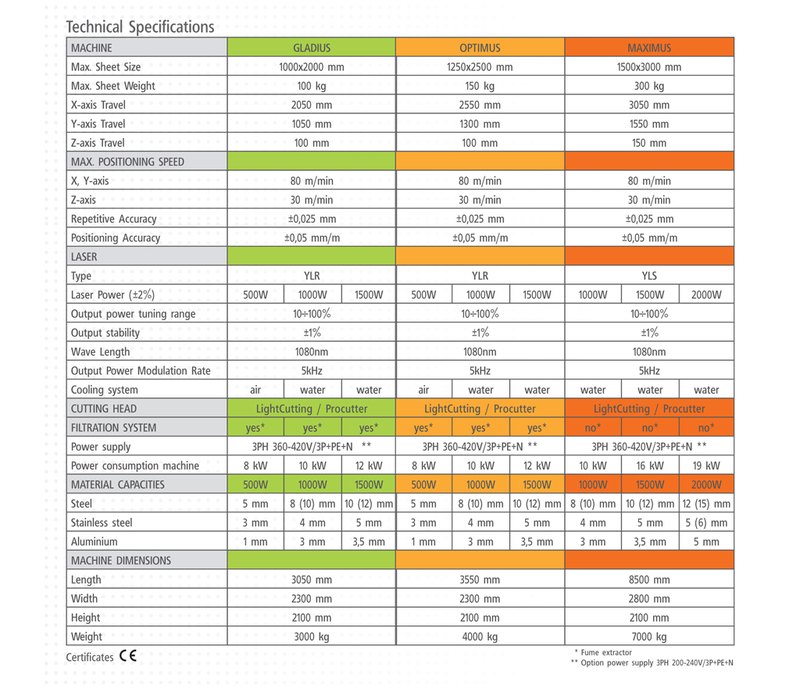 High-quality optics ensures optimum shaping and guiding of the laser beam. The wellknown Lasermatic® distance control guarantees a fast, accurate and drift-free distance measurement at any operation conditions and stable cutting process. The potential of the cutting head is optimally converted into productivity. A unique electronic system is specially designed to keep safe and to prevent the cutting head from collision. In case of obstacle during the cutting process, the CNC stops the cutting ray and breaks the head movement. LightCutter is suitable for integration in small and medium-sized flatbed cutting systems. Stainless steel and aluminum can be cut with the best cutting quality to a gauge of 5 mm, mild steel to 10 mm. The completeness of the sealed beam input protects the optic from contaminants. 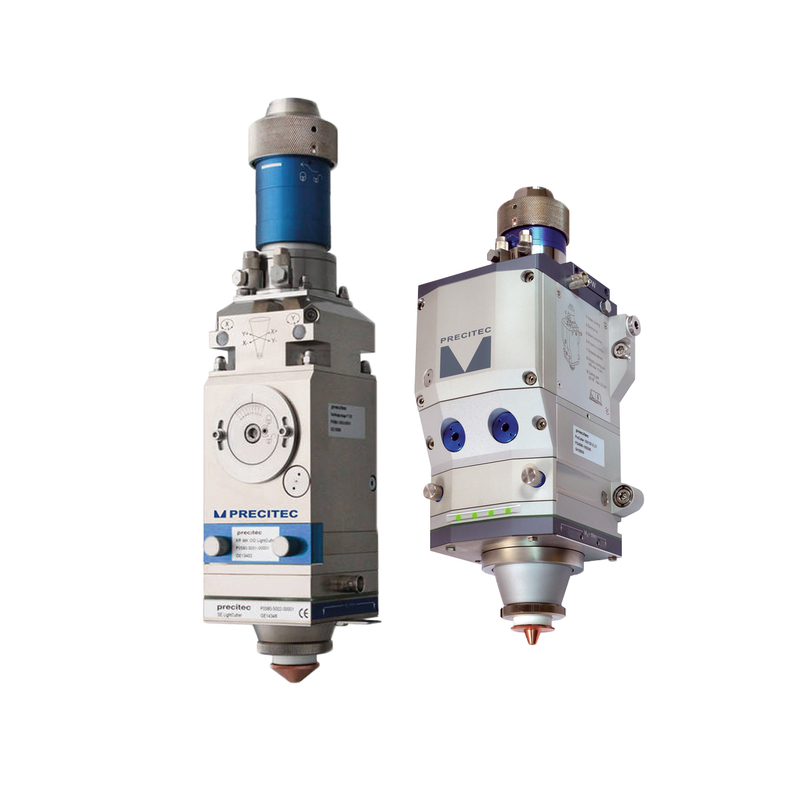 A flushing air system provides protection for the collimated and focusing optics from external influences. 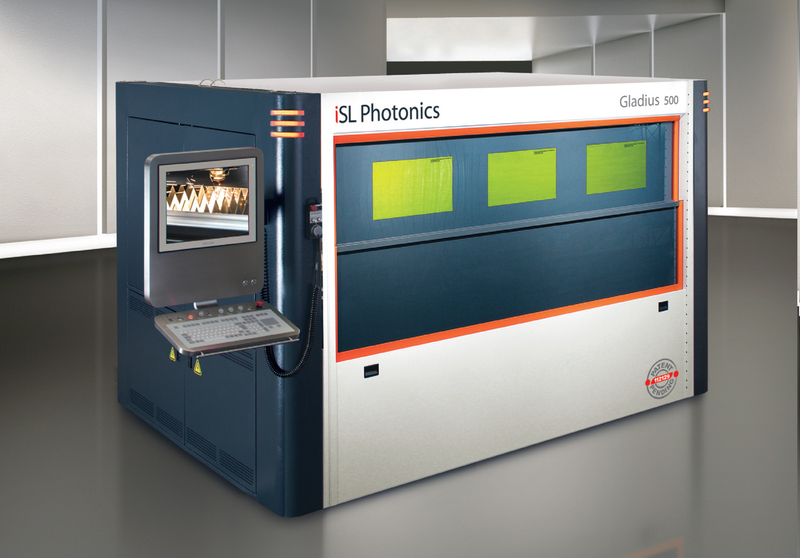 The LightCutter can be adapted to different laser and process requirements with various lenses. 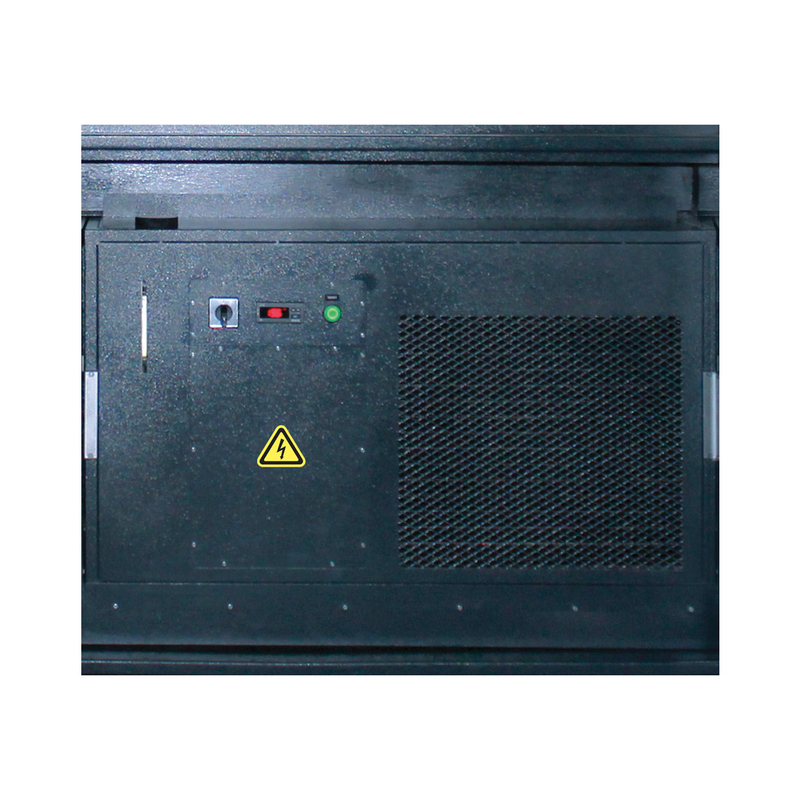 There is air cooling for the machines completed with laser sources up to 500W. 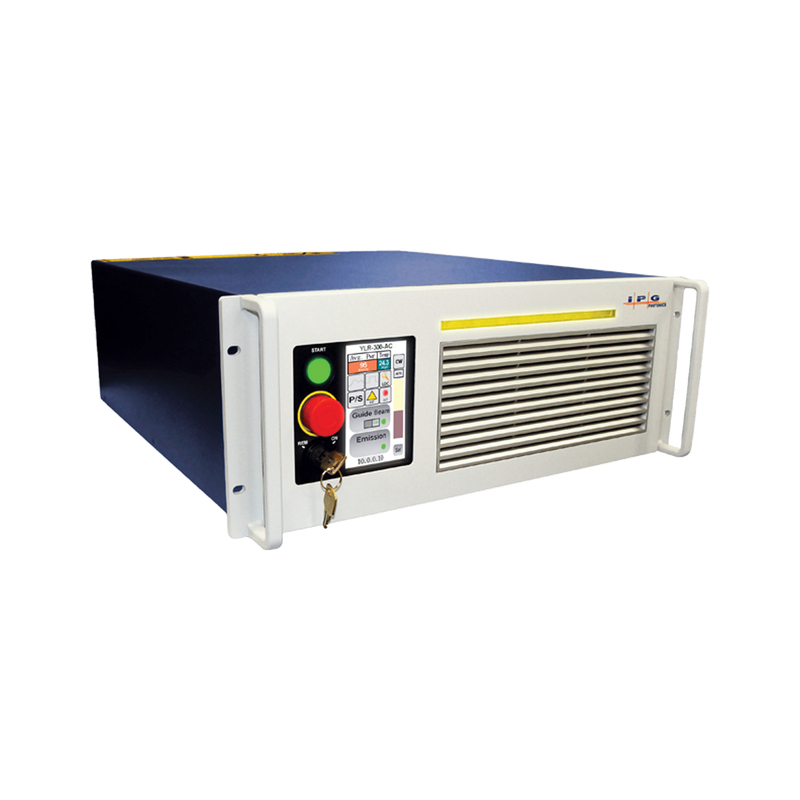 The cooling for machines with sources over 500W has been performed by air-water chiller that is incorporated inside or it is freestanding outside. ACRUPS 2® reduce residual power in the system that remains after cutting. 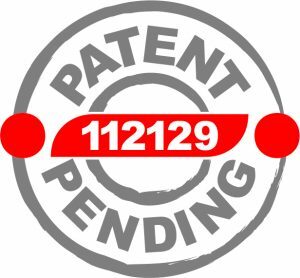 The worldwide patented system aimed to reduce the useless heat power that remains after cutting. 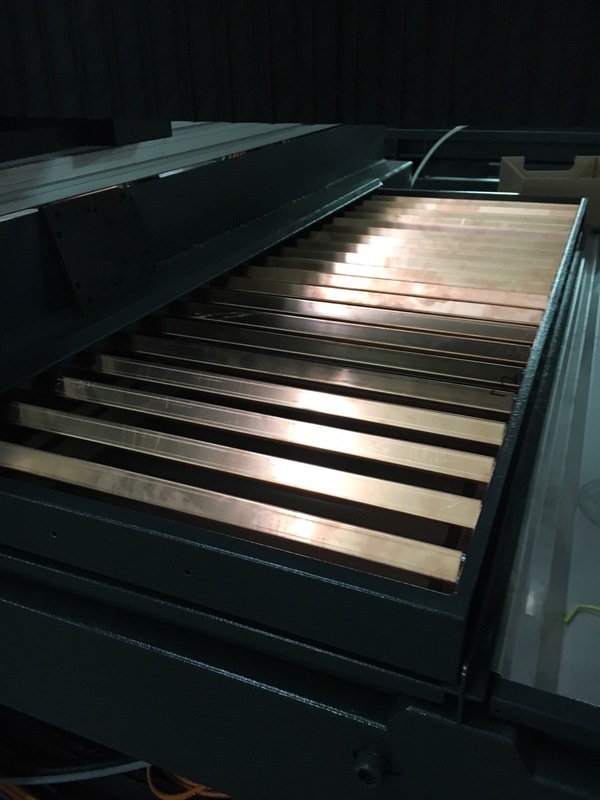 The system comprises of copper louvers that are located between the cutting surface and the body of the machine that absorb the residual power evolved during the laser cutting process. That way, the system keeps safe the machine parts from the destructive power of the laser beam. 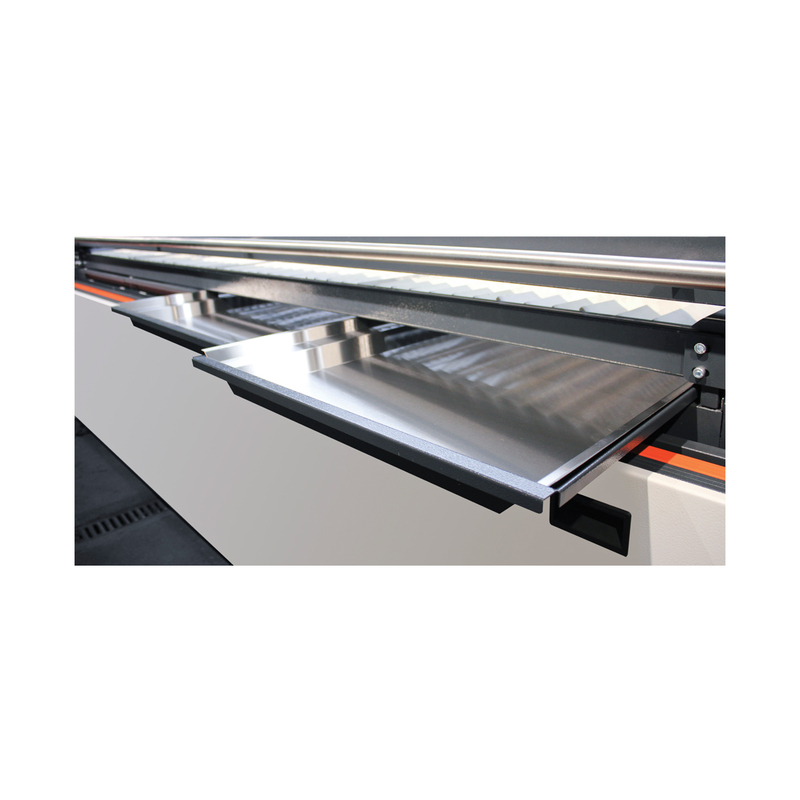 Otherwise, and without existing of the ACRUPS2® system, the distance between the cutting surface and the components of the machine should be quite long, approx. 7001000mm. The system ACRUPS 2® enables to reduce the necessary distance by 250mm. Such space-saving provide possibility to assemble the main components of the machine right under the working surface. The system prevents slag from depositing on the copper louvers. That means easier cleaning and maintenance. The system ACRUPS 2® is built-in the laser cutting machine for metal sheet cutting in GLADIUS. 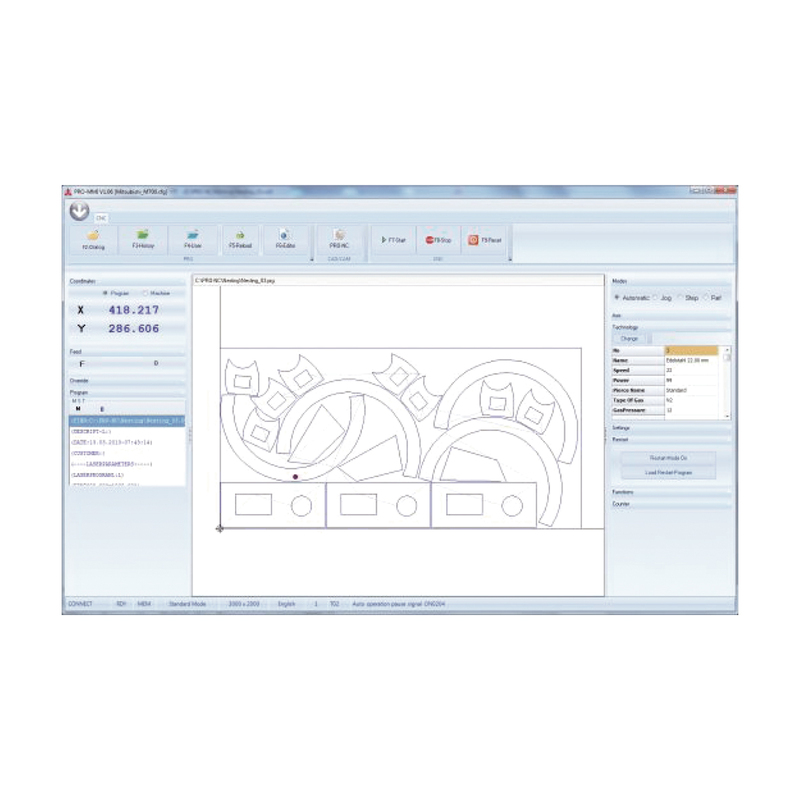 Lantek Expert Cut is in CAD/CAM system specially designed to automate the programming of sheet metal cutting machines. It is the result of over 25 years experiance and close collaboration with both manufacturers and users of this type of machines. 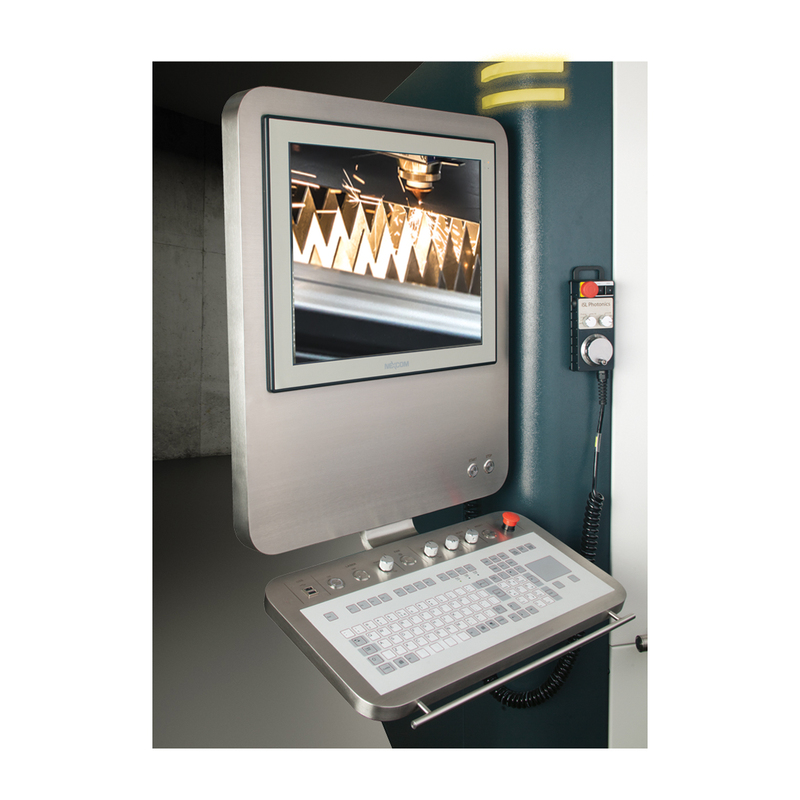 It perfectly combines machine technology with the customer’s programming and managements needs. 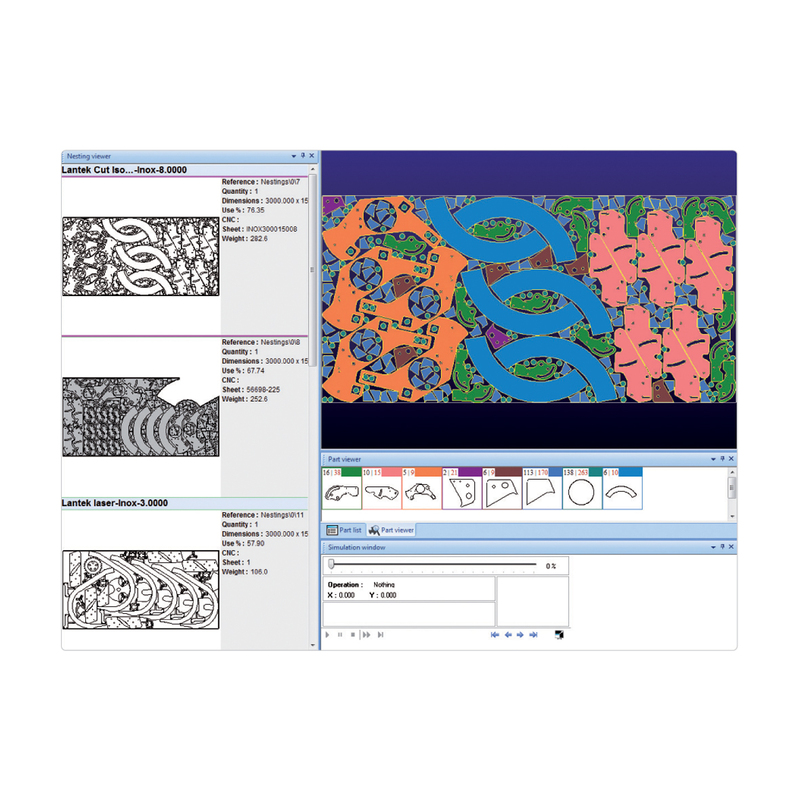 Lantek Expert Cut offers an advanced, intuitive and friendly interface able to improve the user’s afficiency when it comes to programming.